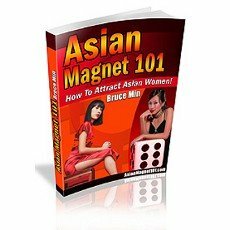 This guide aims to provide an understanding of Asian women and how to attract them. It teaches how to be successful by behaving like an Asian man. - Approaching an Asian woman. - How to approach Asian women in a social setting. - Discover how to attract an Asian male by being your true self! - Have high attraction for you personally. - Conversations to talk about with Asian women. - What to never talk about with an Asian women. - Secrets of an "Asian Magnet"
- How not to be an "Asian Repellant"
- Being yourself and still attract Asian women.